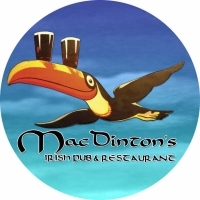 MacDinton’s – Ybor City – $1 Miller Draft & Karaoke Specials from 7pm – Close including $1 Miller lite Drafts, $3 Gummi Bear Shots, $4 Jack Daniels, $5 Three Olives Bombs and $7 Irish Favorites. Gaspar’s Grotto – Ybor City – Caribbean Thursdays Starts at 8 PM. Enjoy $3.00 Red Stripe $4.00 Naked Turtle Rum Drinks as well as 10 of the best WINGS in Tampa including the GHOST PEPPER Challenge. The Lodge – Hyde Park – 2 Good Thursdays Enjoy $2 sliders, $2 wells, $2 domestic drafts, $4 Fireball shots and select bombs and half off bottles. Ladies in groups of 4+ get a FREE bottle of champagne! The Soho Backyard – Hyde Park – Taco Thursdays Get all tacos, from chicken to lobster for $5, as well as $5 Patron Margaritas and $5 Patron Shots. The Retreat – Hyde Park – $10 ALL YOU CAN DRINK 9pm-midnight get $1 Busch Cans and wells from Midnight-3am. Lit Cigar Lounge – Channelside – Ultimate Ladies Night Ladies drink FREE 9pm-11pm. Did we miss something? Another great Thursday Night Deal we forgot to add to our list? If so, let us know?